See you At Northwest Book Festival! Posted on July 27, 2016 by Richard H. McBee Jr.
It’s here this weekend! The Northwest Book Festival in Portland, OR 30th of July, Pioneer Courthouse Square! Check it out! I’ll be there! With three books to sign for buyers! Here’… Source: See you At Northwest Book Festival! Posted on July 24, 2016 by Richard H. McBee Jr. Giveaway! 20 Free E-books on Amazon! Posted on July 23, 2016 by Richard H. McBee Jr. 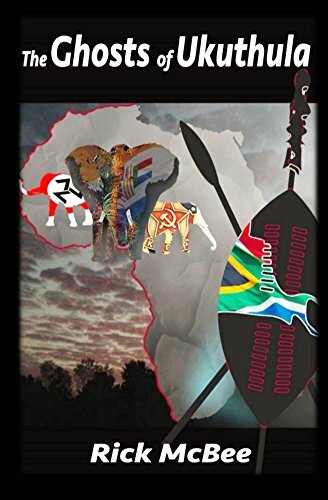 I have just opened up a giveaway site for my newest book, “The Ghosts of Ukuthula” on Amazon Giveaway!I would expect one book a day to go out to participants each day for the next 30 da… Source: Giveaway! 20 Free E-books on Amazon! Education – Things we know but still don’t do in our classrooms! Posted on July 22, 2016 by Richard H. McBee Jr.
Category: book reviews, OpinionTags: Educational Expertise! Those of us in the Indie publishing game have the same trials and errors that authors with agents have, only we don’t have that extra pair of eyes looking over our shoulders for errors, or wh… Source: 5 Indie Publishing Things! Big Results!